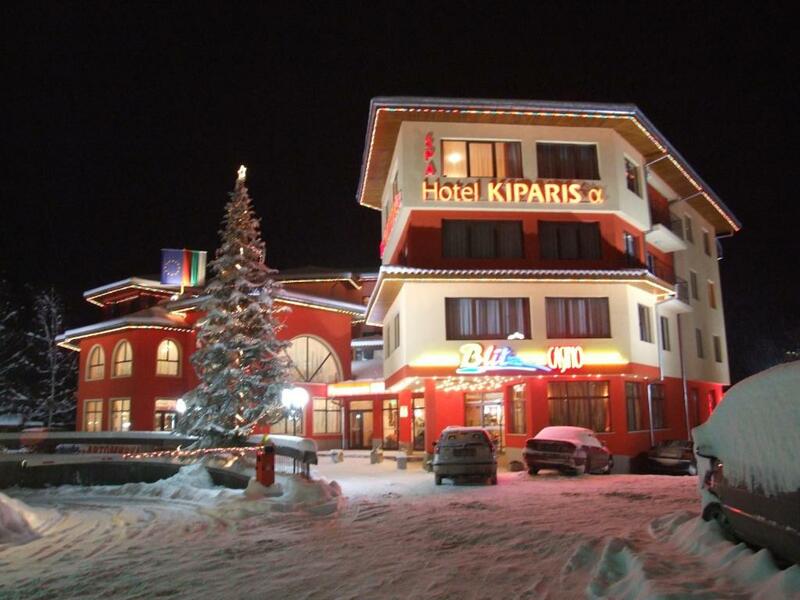 Lock in a great price for Hotel Kiparis Alfa – rated 9.3 by recent guests! The mattress and the pillow were great I had a very pleasant sleep! 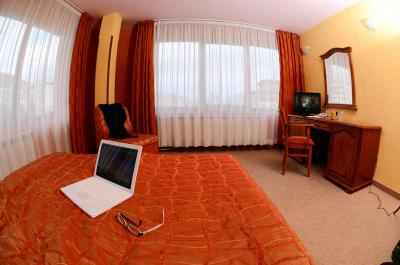 The room was clean, the staff was smily and polite. Beds - very good. Staff - very friendly. Very Clean. Great atmosphere - lot of nice decorations and unique touch. 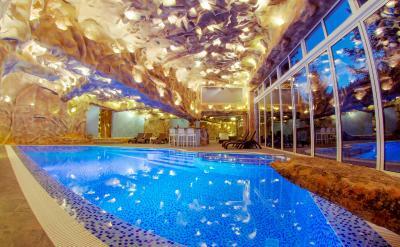 Although we didn't use the SPA, it looks very nice. 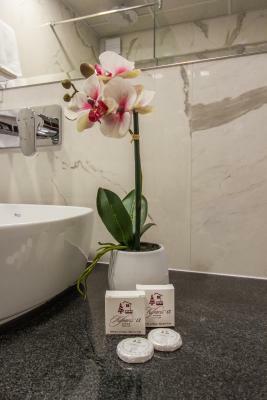 Very clean and cozy, friendly and helpful staff and delicious food in the restaurant, make the hotel great value for money.And the view from the balcony and the spa made my day.Thank you.Highly recommended! 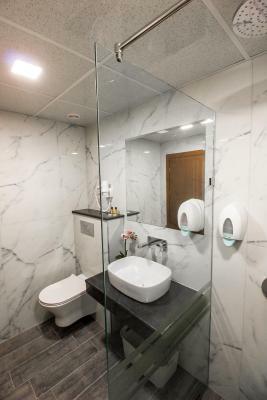 Perfect hotel - cozy, clean and spacious room, very comfortable with guests' needs taken into account; friendly and attentive staff, delicious food in the restaurant, decent breakfast. Location is also very good - close to the center. Everything was super. I just want to raise a point to the Spa part - to be a little bit more organized on the sauna part (reservation on the list) and i reccomand to take the key that is the Sauna as is a factor of risk that someone remain blocked in there. 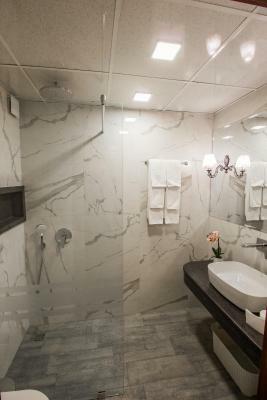 Good location, free parking, rooms are nice, breakfast is plenty, very friendly and helpful personnel, the restaurant is also good, pool and SPA are OK. Nice lobby area. Good value for money. Good location, perfect mattress, the pool is nice. 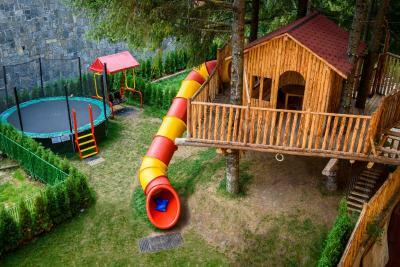 I always stay there when in Smolyan. 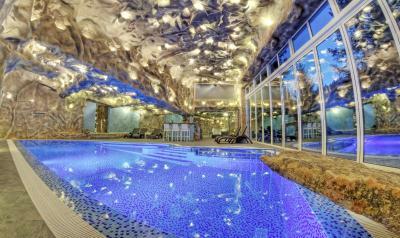 There is a renovated section in this Hotel - go for it! 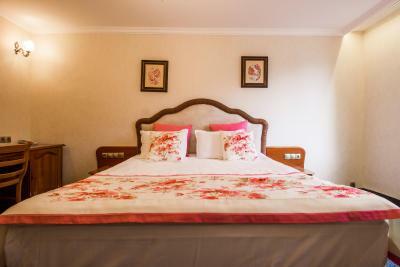 Comfortable beds, well furnished rooms, pretty clean althrough. 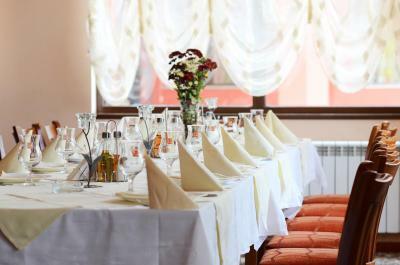 The Restaurant is also recommendable (especially the local dish - patatnik). Stuff was very friendly and assited me on extra request. Will definitely visit it again! 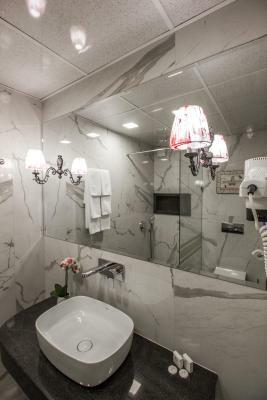 Hotel Kiparis Alfa This rating is a reflection of how the property compares to the industry standard when it comes to price, facilities and services available. It's based on a self-evaluation by the property. Use this rating to help choose your stay! 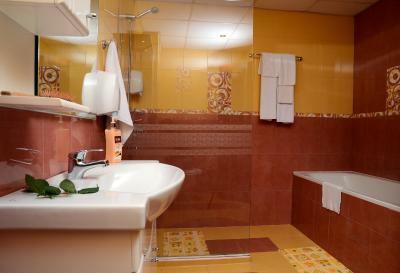 One of our top picks in Smolyan.Located in the very center of the town of Smolyan, the hotel is close to the main cultural landmarks and features great views to the mountain. 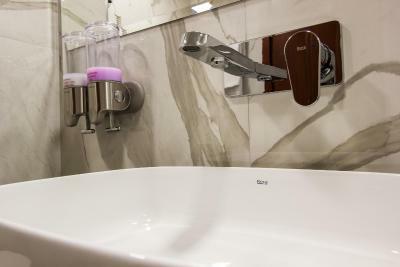 An on-site spa center is available, featuring a sauna, a hammam and a hot tub. 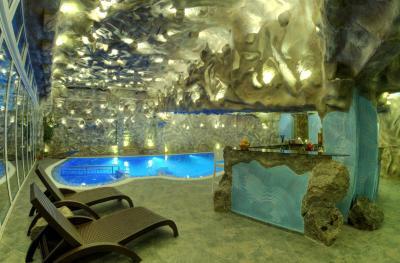 A free indoor pool is provided as well. WiFi is available throughout the property. Free of charge public parking is possible off site upon availability. 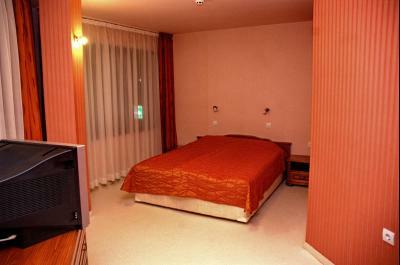 A TV with cable and satellite channels is offered in each of the air-conditioned rooms. A mini-bar is offered as well. The balcony opens to scenic mountain views. 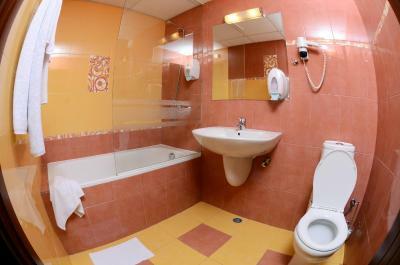 The private bathroom comes with a bath or a shower, free toiletries and a hairdryer. The Rhodopean Drama Theater, the Planetarium, the History Museum, the Art Gallery and the second-biggest Bulgarian Christian temple are in close vicinity to the hotel. 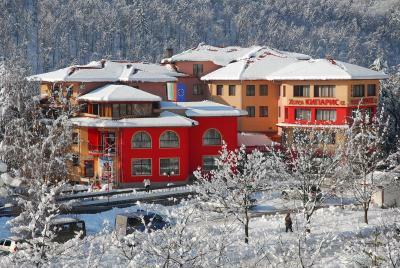 Additionally, Pamporovo - one of the most famous ski resorts - is located only 6.2 mi away from Smolyan. 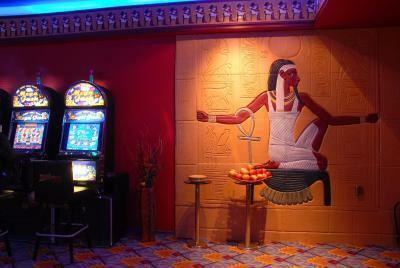 A hairdresser, conference facilities, a casino, a bar and a restaurant are available as well. 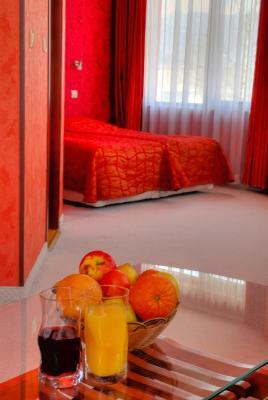 When would you like to stay at Hotel Kiparis Alfa? 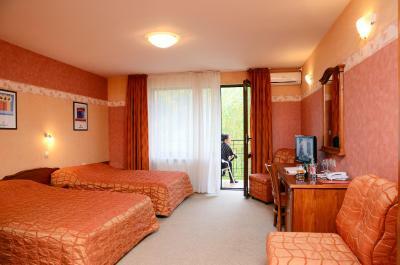 Spacious room with a large bed and a mountain/ town view. 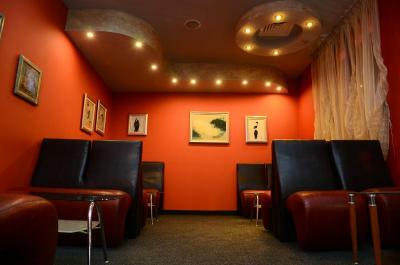 The apartment offers 2 separate rooms with a seating area. 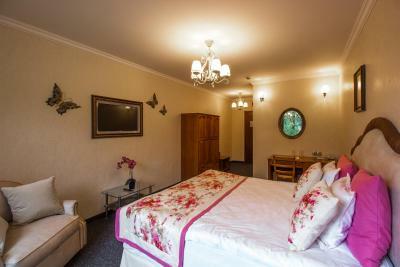 One of the bedrooms feature a large oval bed. Second bedroom with 2 large beds. 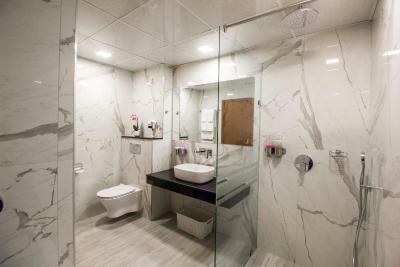 The apartment has two bathrooms, with a spa bath in one. 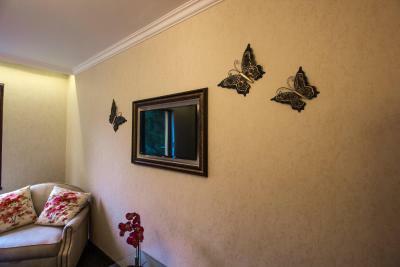 Both bedrooms are equipped with TV and mini-bar. 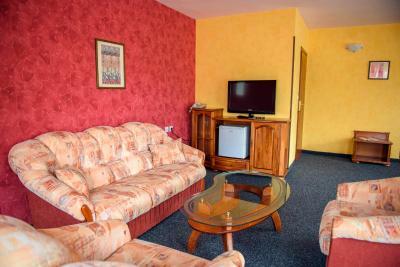 This double room features a mini-bar, satellite TV and seating area. This suite has a balcony, sofa and cable TV. This triple room has a seating area, bathrobe and satellite TV. 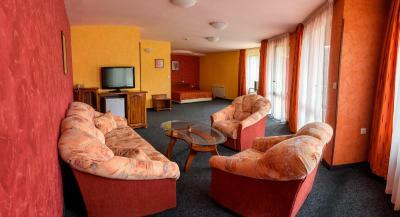 This twin room features a seating area, cable TV and mini-bar. Opening to a balcony, this room features a mini-bar and and satellite TV. This room features a mini-bar and and satellite TV. 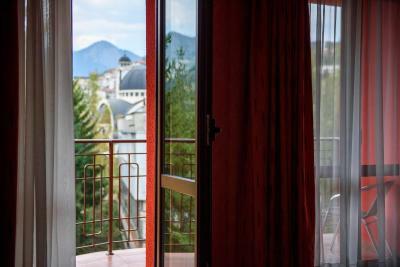 Boasting mountain views, this air-conditioned room features a mini-bar and satellite TV. 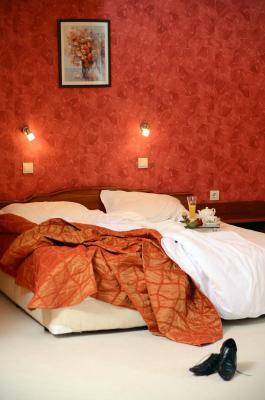 House Rules Hotel Kiparis Alfa takes special requests – add in the next step! Please inform Hotel Kiparis Alfa of your expected arrival time in advance. You can use the Special Requests box when booking, or contact the property directly using the contact details in your confirmation. Walls were a little thin and could hear people in the other room. The toilet paper in the deluxe rooms could be a bit better. There can be a bit better choice on the pastry and the honey for the breakfast - yet again, the Region is quite famous for this to serve honey from bags and toast-bread from a package. Otherwise it was all good. Very kind staff. Swimming pool was nice. 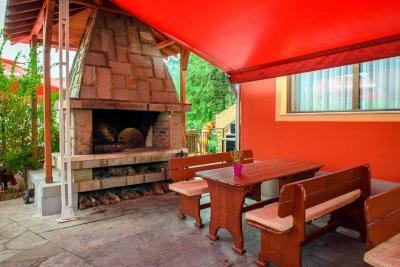 Good location, close to everything, very good restaurant,clean and comfortable room. 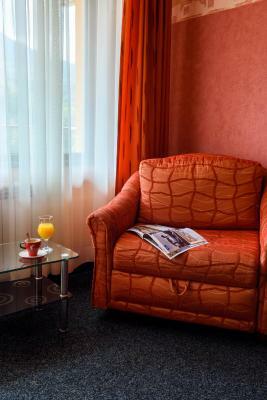 Everything, it was so relaxing, beautiful, very good breakfast, very large and comfortable room, good wifi. The breakfast can be a little bit more varied, with local freshly baked "banitsa" or "mekitsa". 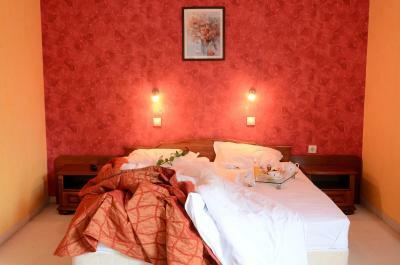 Excellent hotel with friendly staff, good restaurant and location. Not all rooms are same standard. Limited parking but still managed to get a place. Other than that all was well. The staff were very friendly and helpful. The room was very large with a nice balcony. 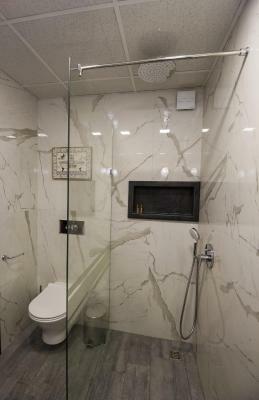 The shower room was great and clean. Sadly it rained a lot when we were in Smolyan but as the hotel had a heated indoor pool we went there and relaxed for a while until the rain went off. They even gave you bathrobes to use at the pool free of charge. 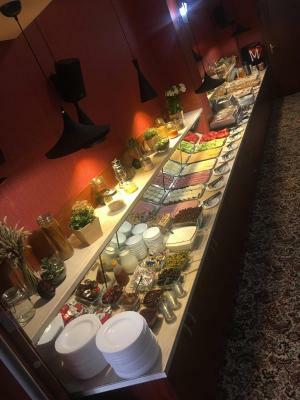 Breakfast was a good buffet with plenty of choice. Would definately use again.